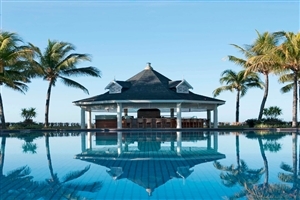 With its beautiful colonial architecture and a privileged location on the pristine Domaine de Bel Ombre coastline, Heritage Le Telfair Golf & Spa Resort is one of Mauritius’ most luxurious and romantic holiday resorts. 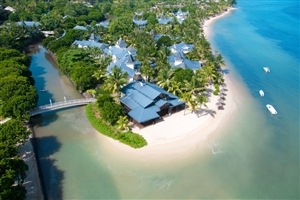 A member of the 'Small Luxury Hotels of the World', the resort reflects this revered status with exquisite attention to detail, notably its charming design touches, elegant accommodation and fine choice of gourmet dining. The resort’s distinguishing feature is its award winning 18-hole championship golf course, making it the ideal choice for those seeking a golf holiday. 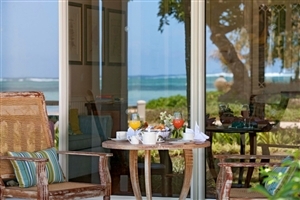 Nestled at the heart of Domaine de Bel Ombre, on the preserved south coast of Mauritius, the Heritage Le Telfair Golf and Spa Resort is a member of the 'Small Luxury Hotels of the World' and is sure to deliver a first rate holiday experience. 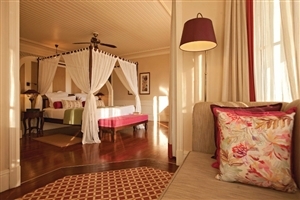 The sublime 5-star hotel, infused with the charm and style of a colonial sugar plantation past, opens out onto a magnificent tropical garden through which the Citronniers River flows. Attached to the resort is the magnificent 18 hole Heritage Golf Club, which is sure to be a major attraction for visitors. 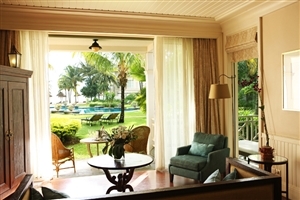 However, those without an interest in golf need not worry, with impressive facilities that will cater for all kind of holidaymaker. 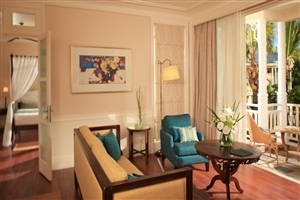 Deluxe Rooms provide guests with 54-62sqm of accommodation space and include access to your own terrace. The en-suite bathroom includes separate shower and bath, with the room being suitable for up to three adults, or two adults with two children. 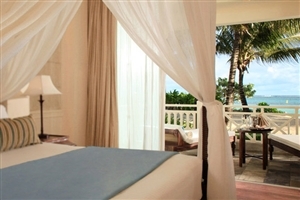 Deluxe Ocean View Rooms provide guests with 54-62sqm of accommodation space and include impressive views out across the ocean. The en-suite bathroom features separate shower and bath, with the room being suitable for up to three adults, or two adults with two children. 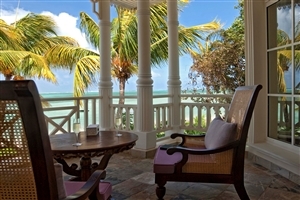 The room also includes a terrace. 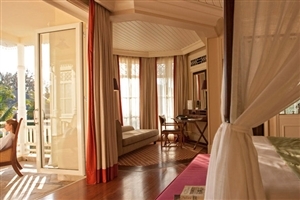 Deluxe Beach Front Rooms offer between 54-62sqm of floor space and can accommodate up to two adults with two children, or three adults. 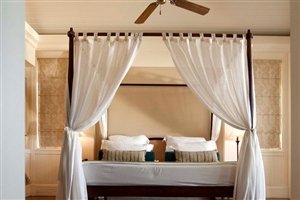 Featuring en-suite facilities with separate shower and bath, the room also provides guests with impressive, and uninterrupted, panoramic views. 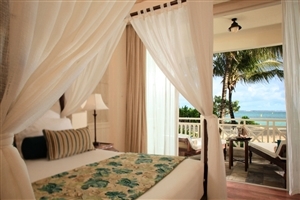 The Senior Suite is an elegant accommodation choice with its intricate antique furniture and romantic four-poster bed. 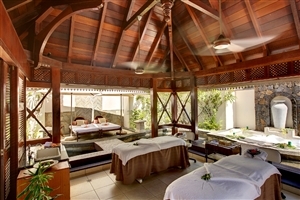 Senior Suites provide 102sqm of accommodation space, with those on the ground floor offering an outside shower. 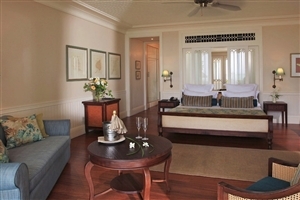 Butler service is also included in the rooms, which are suitable for up to three adults, or two adults with two children. 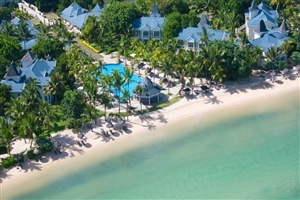 Ocean Suites enjoy a privileged location on the beachfront, ensuring direct access to the soft sandy beach, and unbroken Indian Ocean views. 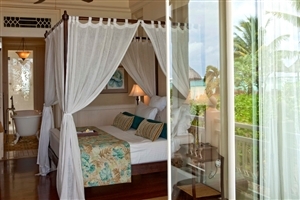 Featuring a large veranda, a large lounge, a dining area and guest washroom, the Ocean Suite’s adjoining bedroom features a four-poster bed and a lavish en-suite bathroom. 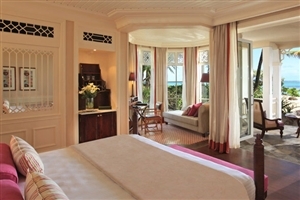 The 104sqm suite also features an outdoor shower and butler service. 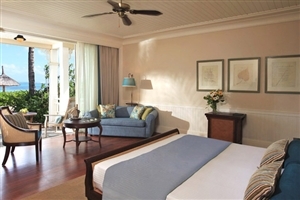 Junior Suites are located on the ground floor, ensuring direct access to the beach and superb views across the Indian Ocean. 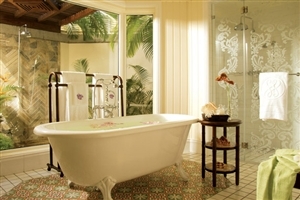 Amenities include a large antique-style bath in the centre of the bathroom and a sumptuous four-poster bed. 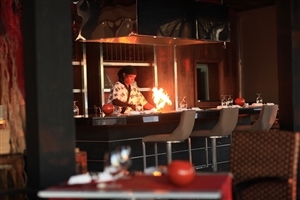 Annabella’s: Open daily for breakfast and dinner, the main restaurant offers both table d’hôte and a la carte options with the chance to see your meal being created in the open kitchen. The option to dine at the Chef’s Table is also available. 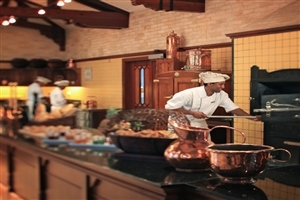 Cavendish Bar & Lounge: Open daily offering a range of refreshments, with the option of dining on light snacks during the afternoon. A snooker table is available. 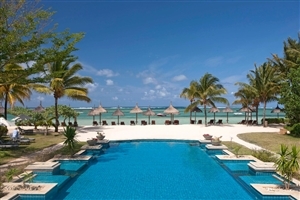 Le Palmier: Situated with the pool on one side and the beach at the other, the ideal place to enjoy a light lunch or to grab a refreshing drink during the day. 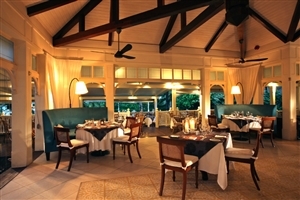 Le Chateau de Bel Ombre: Open for dinner five nights a week, this adult only restaurant serves up refined Mauritian cuisine in the impressive surroundings of a 19th century colonial mansion. Golf Club Restaurant & Bar: Relax with a drink in the club house throughout the day, or grab a quick bite to eat. 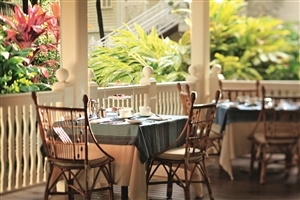 On weekends, dinner is also available at the Steak House. 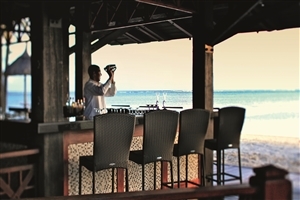 Gin'Ja: Listen to the waves lapping up on the beach as you sample a range of Pan Asian delights from an a la carte dinner menu. A Teppanyaki corner is also available. 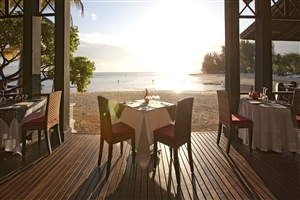 Cyan: Located in the C Beach Club, this restaurant is open five nights a week offering a table d’hôte and buffet menu in elegant surroundings, with your cuisine featuring a true touch of refinement. 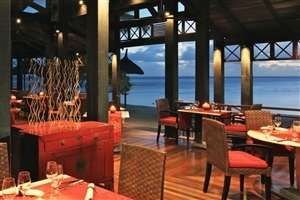 Coast: Enjoy a range of Mediterranean-inspired cuisine during lunch time at the C Beach Club's a la carte restaurant. 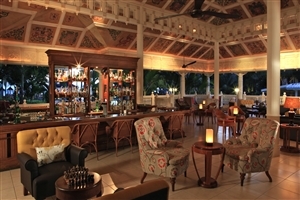 Chill Lounge Bar: The C Beach Club's bar is the perfect place to relax with a drink in a 'chilled-out' atmosphere.